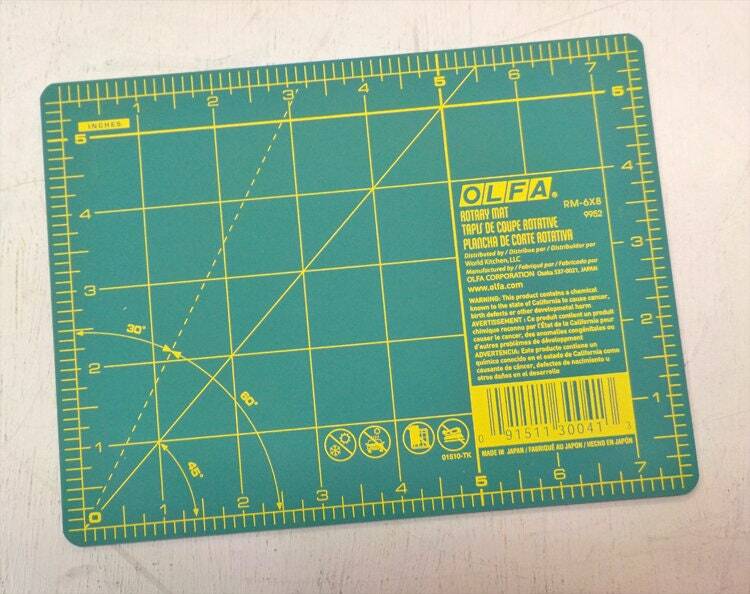 Olfa mini mat...5 1/2 x 7 1/2 inches...travel mat, EPP mat, small mat. This little mat is perfect for the quilter on the go! Small, handy, and easy to toss in your travel sewing bag. This mini mat is wonderful for small projects, EPP, sewing kits, retreats, or travel quilting! A must-have notion for every quilter! This is the perfect small/travel mat for squaring up my quilt corners, for taking dog ears off a stack of quilt pieces, etc.. Thank you for making this available at such a good price. Olfa is a great product.